Laser treatment for ageing skin problems is focused on activating and rejuvenating our body to produce enough collagen. Targeted heating causes soft tissue coagulation and collagen contraction i.e. when the natural process of the body kicks in and gives the skin a youthful and tight effect. The full effect of skin tightening treatment can be seen over a period of few months. There can be a lot of reasons why the skin starts to sag over a period of time. This could be due to less production of collagen, reduced elasticity in the skin, inability of the skin to replace itself at the same pace, gravitational pull and others. 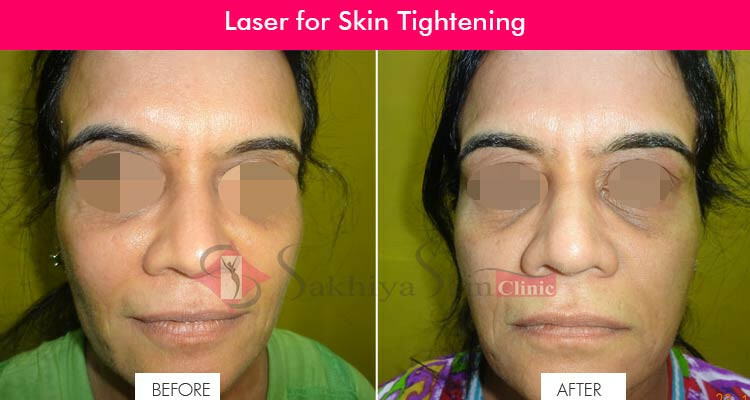 Laser skin tightening is beneficial in all the above incidences.